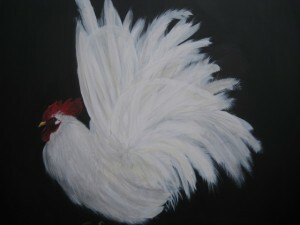 17th July – 20th July Gates open 9am Hundreds of artists demonstrating their art at Waterperry Gardens Nr Wheatley Oxford. 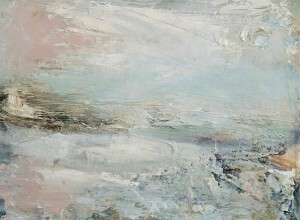 A brace of private views: a jazz trio and champagne at Collectors Selection and Dion Salvador Lloyd begin our Brighton and Hove festival of Artists’ Open Houses 2014. 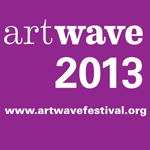 We’ll be reporting back over the next month with some responses to the venues and their exhibitions. The first Christmas sighting of 2013 – ceramic house candle holders. Loved Jana Nicole’s works on reclaimed architectural salvage – painted cockerels on rusted corrugated iron. For the makers and buyers of contemporary art. And the world’s biggest open house arts festival begins again! We bring you some personal responses to each weekend’s trailing. 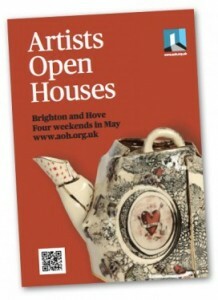 We’re not only about Brighton and Hove; if you have an open house, preview, open studio – any art event anywhere you’d like featured, please send the details to features@artistsopenhouses.co.uk.